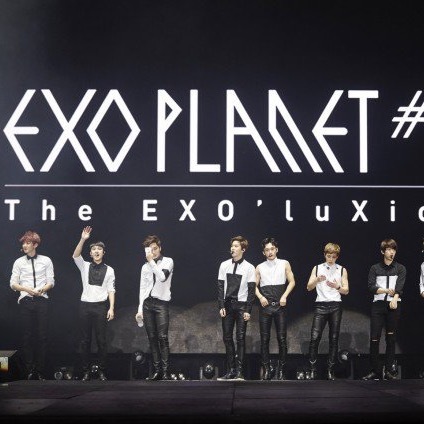 One of Korea’s biggest boy groups, Exo, did a concert in Los Angeles for the first time on Feb. 14 and it was a success. Korean pop, also known as k-pop, has become a world renowned genre that has expanded since the hit song “Gangnam Style” by Psy. Exo is considered Korea’s biggest boyband at the moment next to Big Bang, their rival group. Exo consisted of twelve member but three individuals departed due to issues with their company, now leaving them with nine members. Exo announced their North American tour early Dec. but tickets went on sale late Jan. For their first North American tour, they already acquire a large fan base (with about 3 million people in their fanclub). Within the first thirty seconds that tickets went on sale, tickets were sold out everywhere. After a few hours that tickets sold out, their company, SM Entertainment, offered to sell more tickets for double the price, about $200-$300. Those tickets were sold out after three hours. Their first concert tour in Los Angeles was hectic, according to SAS junior, Jessica Ceniceros. “Many people were screaming even when they were performing so it was hard to hear. There were also a handful of girls who had to be escorted out because they fainted as soon as Exo came out.” There was tight security because of the chaos that occurred at their Canada concert in Toronto, where girls pushed past the metal barricades to get closer to the stage and were fighting one another. Their security were not strong enough to keep the Cali girls away when they did the exact same thing, minus the fighting. Overall, their concert was a success, in sales and in popularity, expanding their fan base.